Are Deer Traits And Behaviors Influenced By Predators Like Sasquatch? 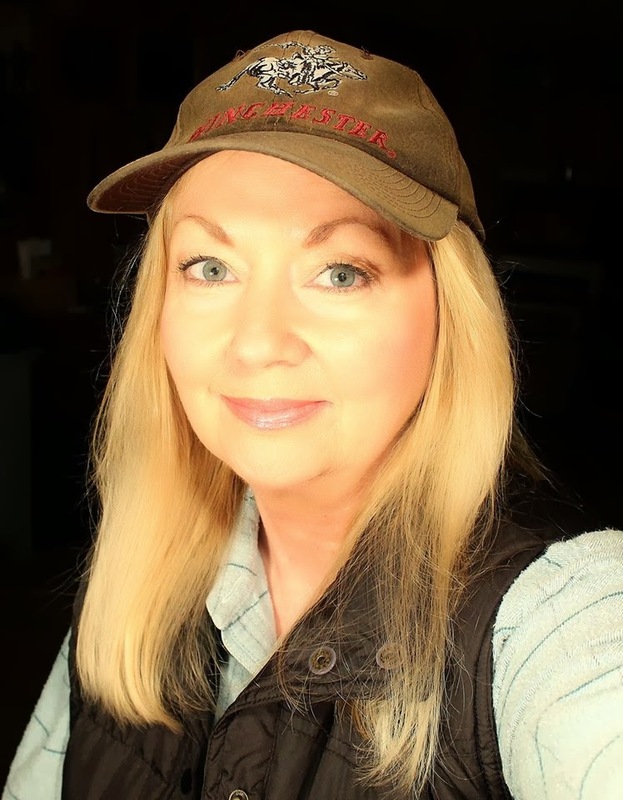 Ever since Janice Carter told National Geographic that Bigfoot hunted deer on her property in Tennessee, it has slowly become an accepted theory that deer are one of a sasquatch’s main food sources. This, backed up by the observation that most bigfoot sightings happen in areas most densely populated with deer or other similar animals, and that deer are a large primate’s main hope for enough food to sustain it in these areas. So are deer traits and behaviors influenced by those that prey on them? Like maybe sasquatches? And why should we care? My grandfather told me years ago that if I wanted to study a predator (in this case, Sasquatches) I should study their food, which here, we theorize is deer. Follow their food, and that predator will be somewhere around close too. And both creatures’ existence intertwines. I’ve found that to sometimes solve a problem or make any breakthroughs, I have to stop and look at the whole thing from a different perspective. And I have a very high deer population in my area that’s very accessible and very close to an area where there has been believed to be sasquatch activity in recent years. And I wanted to go out and get some pictures of them anyway; hopefully some really good ones. And to get good wildlife shots, you have to think and act like a hunter. So it was a good opportunity to get in some practice getting closer to them and do some unofficial experiments. That is, after I read up on the known facts about them. And I wanted to know if I could find anything new about them…from the perspective of a person who believes bigfoot could be roaming the same forest areas. *Whitetails blend amazingly well with their surroundings. They are a beautiful reddish-brown color in the warmer months and more of a grayish-brown during the stark winter months. *They have a four-chambered stomach that allows them to digest the wide variety of plant foods they eat. So they are cud chewers like cows. They don’t chew much while they’re eating, and later, when they rest, they regurgitate the food and chew it again. *They have scent glands in their feet that leave scent trails and allow them to communicate with other deer. *Whitetails get their name from the dense white hair on the underside of their tales. They use this as a warning signal to other deer. They’ll blow air hard through their nostrils and throw their tails into the air like flags when they’re alarmed. *They basically stay in a single territory their entire lives, never leaving, unless they’re driven out by predators or human expansion. They usually run together in small herds led by an older female. *A full-grown whitetail will reach heights of up to 3 feet and weigh up to 200 lbs. *Their average life span is around 11 years. *Whitetails can populate quickly. Females, known as does, give birth to one to three offspring at a time, usually in May or June. And an average whitetail can produce up to 35 babies in its 7-year lifespan. The babies, called fawns, are born reddish-brown with white spots to blend in with their spring surroundings. *A whitetail’s eyes see very well in up to a 310 degree wide-angle range without moving its head. But they are believed to have trouble focusing in on objects and to be color-blind. *They have a very keen sense of hearing and it’s believed they can measure how far away a sound is by listening. Muscles in their head allow them to see and hear without moving their heads. And their ears move independently in all directions so they can hear all around them without moving their heads. *Only the bucks grow antlers which can have varying numbers of “points” or tines. I’ve seen up to ten points. During mating season, also called rut, they use them to fight over territory and the right to mate with does in that territory. *Bucks mark their territory by scraping bark from trees with their antlers. And so, if deer are a sasquatches sustaining food source, how has that shaped deer behavior and evolution? Has it shaped it at all? I found more questions than answers, but the questions raise new ideas about the behavior and evolution of both creatures. And these are observations of deer in my area. There is no guarantee that other deer would behave the same. I’m not a scientist, and these are my opinions about them from spending hours watching them. You can take these and 4 and a half bucks and buy a fancy cup of coffee. But here goes. *I’ve wondered for years why deer seem to be so terribly skittish. And I really started wondering when I nearly hit one last summer as it darted out in front of my truck in wide-eyed terror. What are they so afraid of? Yes, there are coyotes around my area, and maybe even an occasional bobcat. But I wondered if either of those predators would instill the kind of terror I saw in this animal’s eyes. Just curious. *Yes, they jump at the snap of a twig, but have you ever wondered why that is? Have you ever wondered if there might be a reason for such behavior; like they’ve learned that the snap of a twig means danger? And to hear wood knocks seems to send them into a panic. I tried this several times during the summer with the same reaction. That is, after my encounter in the summer of 2012 when I heard loud wood knocks and heard deer running in circles in the woods, only to have two fawns nearly knock me over trying to get away from…whatever it was. Yes, deer are very jumpy, but wood knocks seemed to bother them much more; much more than even my truck door slamming or dogs barking in the distance. Some sounds didn’t seem to bother them much at all. *Deer respond quickly to the alarms of other animals. Very often, it’s the crows that give the warning. I’ve witnessed deer leaving an area when the crows start squawking an alarm that I’m there. Many times the deer won’t move out of the area completely until the crows have decided I’m a threat. It’s just interesting. If the crows sound the alarm that I’m there, then they would certainly send out an alarm about any other predator or disturbance. It was frustrating trying to get close to the deer when the crows were around, but I also decided that the crows could be an asset. They know about all the little disturbances in the woods before I do…and they’re all too ready to tell me all about it. Crazy questions started to run through my mind. Could they be an indicator of ANY predator that might be lurking? Like maybe even a sasquatch? *Whitetail territory is amazingly small, perhaps a square mile or so. As long as there’s enough food and safety, I find the exact same deer in nearly the same areas every day at the same time of day, especially during cud-chewing time. Usually older females with their offspring and younger followers. Males tend to wander more but still seem to stay close to the same small territory, especially if the does are there also. But I’ve heard some people asking if sasquatches migrate. Predators usually follow their favorite prey. Deer generally do not migrate, but does this mean sasquatches don’t migrate either? Most creatures move if their food source runs out or migrates to another area…or they’re driven out by humans. *A deer can be brought down by a bobcat or coyote. But these predators have trouble bringing down a healthy full-grown adult whitetail. Of course, a deer that runs out in front of your vehicle could be running from any other predator. But when they’re running at top speed in total terror, with no regard for anything else that could kill them, like your car, in areas of sasquatch sightings, I have to wonder if there isn’t more to the story of these events. *Whitetails are said to be able to run up to 30 mph, but I speculate that they can move faster in certain situations. A friend of mine observed a whitetail running in a corn field beside his truck as he was traveling around approximately 40 mph. Of course, this was not a scientific test. But I believe in cases of fear and panic, adrenaline may move them much faster than we think. *Of course, gunshots disturb them, but hunting season is really only a small part of their year. Do the sounds of gunshots bother them because they’re familiar with the sound of guns? Or is it because the popping noise of shotguns resembles a loud wood knock? Something they may hear on regular basis all year long? I just wonder. Of course, I’m only speculating about all of this. These are my own crazy questions and curiosities. But the reason I do this is to think about it differently and look at it all from a different angle, and to hopefully find something new to contribute. An animal’s traits and behaviors are influenced by its food source and its danger source. There is no way this could be avoided. Animals evolve better ways to cope and survive with the challenges around them. If not, they simply don’t survive at all. So if deer are the main food source of a sasquatch, the deer have a story to tell about what’s hunting them and they’ve evolved to deal with that. Maybe this all seems a bit simplistic, but sometimes it comes down to obvious, simple things. Sometimes the answer is right in front of us and we don’t see it because we think it should be more complicated. 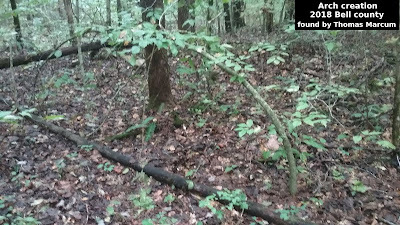 Like this photo story I’m calling The Whitetail Project, anytime there’s a puzzler like bigfoot on the prowl, if you hit a wall in trying to find answers, and you can’t make a breakthrough, try looking at it from the other side of the fence. I enjoyed reading your thoughts here! I'm an 'Armchair' enthusiast believer in Bigfoot, living in Birmingham U.K. This morning (A day later) I just watched a TV Wildlife programme which showed how some birds, can exploit other creatures by giving 'false' alarm calls.Even mimicking mammal alarm calls (Meerkat) The Drongo African species does this and the Australian one too!. There is more in this than I'd been aware! Skunk Ape in Florida? - Unedited Video! Dark Dossier Issue # 5 - Now Available!! What Are The Ohio Howls? Possible Bigfoot Tracks Found in New Hampshire! Old photo of Mini Ghost Figures? Rock Throwing Bigfoot in Lancashire? Yellowham Hill Bigfoot Howls - Enhanced Audio! Bigfoot Sighting Report from England! Arizona DOT Sasquatch Photo - Solved!